I first heard the term “diabesity” at a Standard Process seminar almost one year ago. I thought by now, I would be coming across it more often in health blogs, the newspaper, the news, etc… It just sounds like a word that the media would love to use. “Diabesity” is of course a combination of the words “diabetes” and “obesity”. (I just did a google search of the word and there are almost 100,000 entries that can be perused). Both of these conditions are currently epidemic in western civilization and especially here in the U.S. And according to everything I have read, the number of obese people with type 2 diabetes is going to continue to increase by record numbers. As for the obesity epidemic, it doesn’t take a scientist to share statistics with us to see what’s happening out there in the world. People of all ages are getting heavier and it’s not looking like change is going to happen any day soon. Unfortunately, most people are misguided regarding which foods will make them fat. In addition, the sedentary lifestyle of many Americans does not help the situation. Keep in mind though, that a healthy, balanced body will always fall within a normal weight range. It should not be necessary to work out in order to be a healthy weight. Unfortunately, despite a healthful, whole foods diet, I have found myself in a pre-diabetic state more than once in my life and I now know that it is something I need to stay on top of. I happen to really like grains, but I know that the best way to keep any sort of diabetes or blood sugar problems at bay is to avoid them as much as possible. This is very, very important. Avoiding grains and sugar will keep blood sugar steady throughout the day and will keep your body going into fat stores for energy, which in turn will help keep weight down. I normally limit my grain intake to brown and/or wild rice using them in soups or as a side dish to meat. This seems to work well for me. However, there are times when working with a client, that avoiding grains and sugars is still not enough. It is at these times, that I consult both my Standard Process and my MediHerb Clinical Reference Guide. From these guides two supplements stand out to me – Paraplex by Standard Process and MediHerb’s Gymnema. Paraplex is a multivitamin of sorts that feeds the pituitary gland, the thyroid gland, the pancreas and the adrenals, which all need to be in tip top shape in order for the body to be able to properly handle all types of sugars, including those from fruits and whole grains. Gymnema is a beautiful herb that has been used in Ayurvedic medicine for 3000 years. Among many herbalists, it is considered the herb for diabetes. In India the Hindi name for gymnema is Gurmar which translates to “sugar destroyer”. I have used both of these supplements in my personal protocol and with my clients with much success. It’s also important to know that type 2 diabetic conditions or pre-diabetic conditions may stem from unhappy, overworked, stressed out adrenal glands. When the adrenals are overworked then the body will continue to want to use sugar as its primary fuel, creating the intense cravings that most pre-diabetic people experience. There is much more energy in healthy fats for the body to utilize then there is in carbohydrates. Fat takes longer to digest than carbs, which means you will be hungry less often. So, what is a healthy fat? I LOVE this question because most people are shocked by the answer I give. Healthy fats include butter, ghee, lard (from pastured animals), coconut oil, and olive oil. These are all fats that I use and enjoy daily. Americans are not overweight because of excessive consumption of real, healthy fat. Most Americans who suffer from “diabesity” are consuming too much sugar, artificial sweeteners, refined carbohydrates, artificially colored drinks and sodas, meats from factory farms (where the cows eat corn and soy–contributing more carbs to our diet! 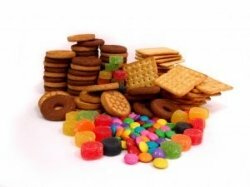 ), chips, crackers, crunchy things and sugar and sugar and sugar! It’s in everything! The body really doesn’t have to have grains at all–EVER–but without healthy fats it will not function optimally over time. I think it was at the Weston A. Price Conference in 2009 that I heard Sally Fallon, author of the beautiful cookbook Nourishing Traditions, say that the “minerals we consume are the bricks of our body and the fat-soluble vitamins are the mortar.” In other words without the healthy fats I mentioned above, the body would not be able to hold itself together! In addition to the health-promoting fats that I listed above, foods such as fish eggs, cod liver oil, shellfish, oily fish, raw milk and cream (from cows who graze on grass), egg yolks (from chickens who live outside), liver and other organ meats (from cattle that eat grass) will all ensure a healthy foundation for each individual that consumes them–they will keep us from someday being diagnosed with “diabesity”.